Grey's Anatomy Fan Peru: SPOILER: GA 9X09! "Run Baby Run" - Como el resto de los médicos preparan para la boda de Bailey, Richard ayuda a ella a través de un ataque de nervios pre-boda. Mientras tanto, Lizzie colillas de cabezas con Meredith, y Callie y Jackson tratar de convencer a Derek para participar en una cirugía de riesgo que podrían fijar su mano, en "Anatomía de Grey," Jueves, 13 de diciembre (9:00-22:02, hora del este) por la cadena ABC. “Run Baby Run” – As the rest of the doctors prepare for Bailey’s wedding, Richard helps her through a bout of pre-wedding jitters. 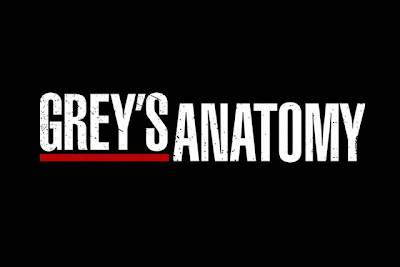 Meanwhile, Lizzie butts heads with Meredith, and Callie and Jackson try to convince Derek to participate in a risky surgery that could fix his hand, on “Grey’s Anatomy,” THURSDAY, DECEMBER 13 (9:00-10:02 p.m., ET) on the ABC Television Network.